Mother Ladies hostel is located in a residential area and adjustant to Priyadarsini Housing Colony, Paravattani, which is 2kms away from Trichur Round and Prof. P.C. Thomas Classes. 1Kms away from Jubilee Medical College & Nirmala Matha Central School & Near to Vetinary University College, Don Bosco College, Agricultural University,Mannuthy, and on the way to Kerala Forest Research Institute [KFRI], Peechi. 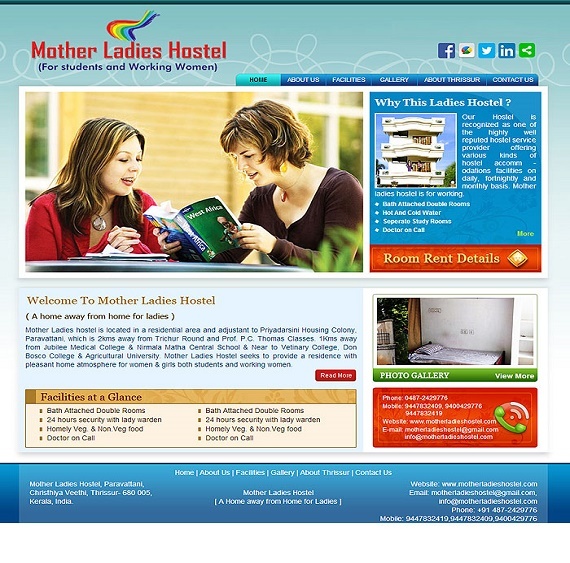 Mother Ladies Hostel seeks to provide a residence with pleasant home atmosphere for women & girls both students and working women. 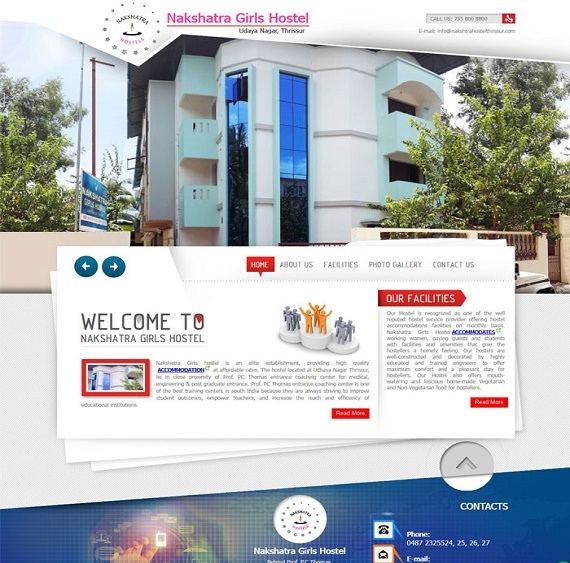 Nakshatra Girls hostel is an elite establishment, providing high quality accommodation at affordable rates. The hostel located at Udhaya Nagar Thrissur, lie in close proximity of Prof. PC Thomas Entrance Coaching Center, This renowned Institution trains for Medical, Engineering & Post Graduate Entrance. Prof. PC Thomas entrance coaching center is one of the best training centers in South India because they are always striving to improve student outcomes, empower teachers, and increase the reach and efficiency of educational institutions.